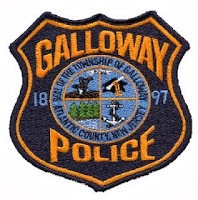 On September 27, 2016 at 3:07 p.m., Galloway Township Police responded to a single motor vehicle crash on Cologne Avenue, just north of Duerer Street. According to Police, witnesses and evidence state that Adam Brenner, 30, of Mays Landing was traveling northbound on Cologne Avenue, just north of Duerer Street, when his Blue, 2003 Ford Ranger, crossed over the center lane and onto the southbound shoulder of Cologne Avenue. Brenner’s vehicle then left the roadway, struck a tree and then overturned onto its driver side. Brenner was extricated from the vehicle by Pomona Fire Department and transported to Atlantic Regional Medical Center, City Division, via helicopter for his injuries. Summonses are pending investigation by Officer Costa of the Galloway Township Traffic Safety Unit. Galloway Twp Ambulance Squad, AtlantiCare Paramedics, Germania Fire Department, Pomona Fire Department and Galloway Twp Police Department assisted in the accident.